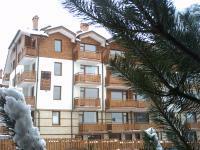 We are glad to offer our "Ski Package 2011" valid for January and February in Apart-hotel "Four Leaf Clover" Bansko. * Using our indoor swimming pool with heated water, sauna, jacuzzi, steam bath and others. All guests of the Four Leaf Clover apart-hotel are using 10% discount in our restaurant.